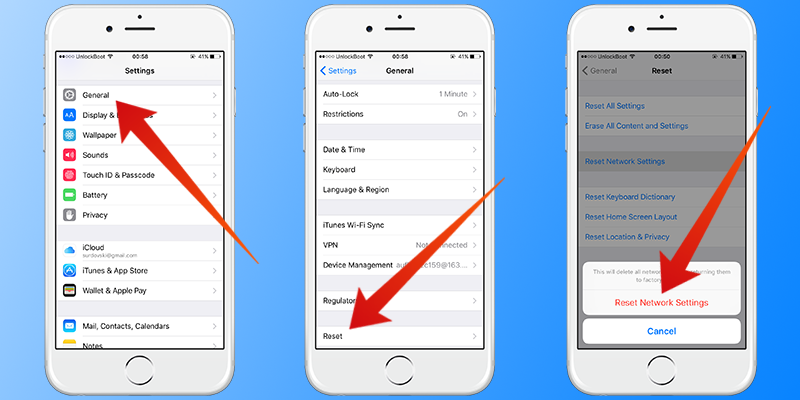 In order to understand how to go through with the iPhone WiFi is grayed out fix you need to know the reason behind why your Wi-Fi is grayed out on your iPhone. A grayed Wi-Fi usually hints towards a problem with an iPhone’s WiFi antenna. It can happen to any models in the iPhone 4 – iPhone 6 versions due to the antenna running right under the headphone jack and a drop of liquid or debris shorting it out. In the iPhone 4/4S, you’ll see a white dot present at the bottom of the headphone jack. If it has turned red then that means your device has come in contact with some liquid which might be the reason for your WiFi to be grayed out. Apple put the white dot there as a test to see if a device has come in contact with liquid or not. Head to General and then Reset. Go to Rest Network Settings. Reconnect WiFi by going to Settings and then ‘WiFi’. If it a grayed WiFi is still not fixed, you’ll need to replace your device. If your device is still under warranty then make use of it. Don’t want to get a new iPhone? You can try a local iPhone repair service. They can fix your antenna for about $79 – $100 if you have an iPhone 4 or 4S. You can also get iFixit.com to help you out. The website has a whole collection of repair guides you can follow. 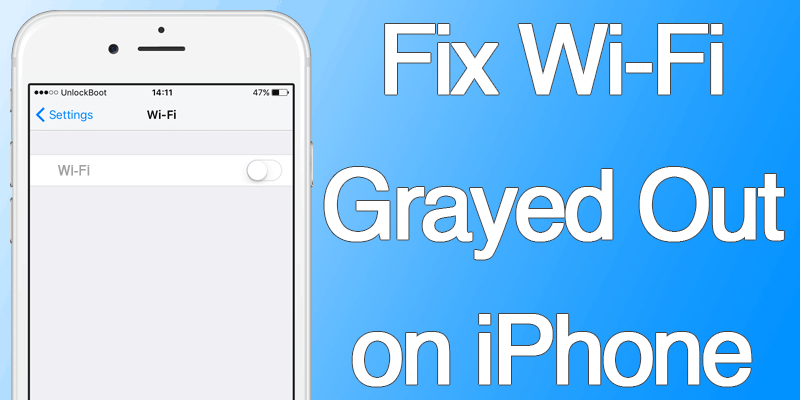 Go and read the article titled ‘How to Fix iPhone 4S WiFi Grayed Out’. You can also follow a guide that tells you how to repair the antenna yourself. However, it is advised that you have previous experience with repairs before you try anything out. Feel free to share your comments and opinions about what you did to get that much-needed iPhone WiFi is grayed fix. What worked out for you and what didn’t? Did you go through with the repair yourself or did you decide to replace your iPhone?